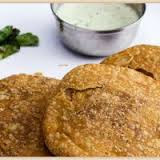 A space to focus on Indian Vegetarian, Kid friendly dishes, Indian Traditional Dishes and not the least, Indian Diet for fitness and weight loss. Two coloured creamy pink pudding in an attractive ring shape. Wash rice and boil with 2 cups of water till semi cooked. Drain off water,mix in sugar simmer till rice gets cooked and milk gets absorbed. keep it a side till it cools down completely. Melt jelly crystals with 3 cups of water.Divide into 2 parts .to one part add 1 cup water chopped cherries pour in ring mould and set in the refregerator. Whip cream with powered sugar till stiff but flowing in consistency while keeping the vessel on ice cube. To the second half of the jelly, mix cooked rice and wipped fresh cream pour over the set cerry jelly in the ring mould.Place in the refrigeratorto set. 1/2 stick melted butter , Salt to taste , Little water to knead the dough. Soak Sooji in little water for 10-15 mins.Add All purpose flour , Salt to taste and 1/2 stick heated butter and knead a dough. 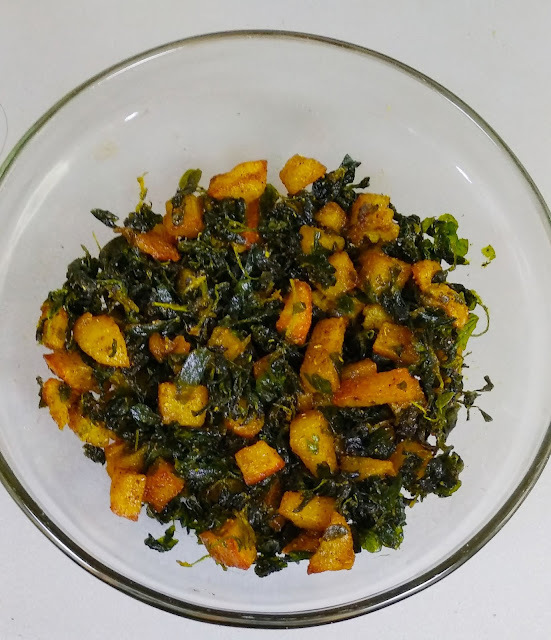 *Put oil in a pan,put cube sized cut patoto in it cook on moderate medium heat till it is half done,in a mean while drain out water from methi leaves once patoto is half done add methi leaves to pot mix well. *Check once potato is done.
. Clean wash chicken pieces,boil them adding one glass of water,salt to taste ginger garlic paste put of flame once done,do not dry up water fully.adjust water if dried fully.let it cool down once done shred the chicken finally. till maida cook fully and sauce get thicker. Add corinder leaves salad leaves(1no.) finally chopped adjust the salt if needed.